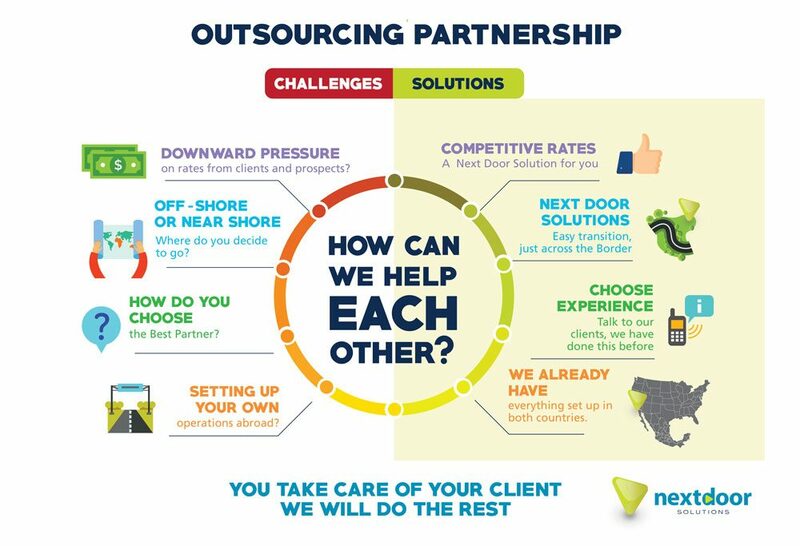 A nearshore outsourcing represents a significant cost reduction without sacrificing quality and clear communication with your customers, we provide top-quality bicultural and bilingual personnel to represent your company and your brand, we understand your customers are the most important asset of your company. Outsourcing will provide the operational flexibility your call center needs in order to meet your KPI’s and budget goals. Our most important asset is our personnel, we commit to making them comfortable and happy, so they can take care of your customers. That is what we do, that is our business!! Outsourcing partnership with NDS will make you a very strong competitor in the US, offering your current clients the most completive rate just 40 minutes away from San Diego Airport, a 1 day trip site visit will take them to a PCI Level 1 Call Center facility and meet bilingual and bicultural personnel that understands the American way and will communicate with their customers crystal clear. We will not take over your business relationship with your clients, you take care of that, we will do the rest, we will become your new call center facility in Mexico. Our most important asset is our personnel, we commit to making them comfortable and happy, so they can take care of your customers’ clients. That is what we do, that is our business!! 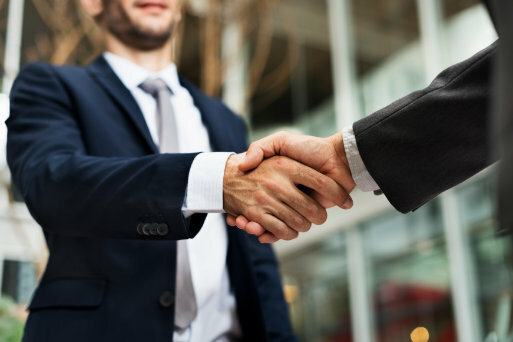 NDS can be your business extension in Mexico, do not worry about establishing a Mexican entity and deal with local payroll matters, taxes and legal compliance, we will take care of this. We understand every business has special needs and requirements, we will be able to build the solution you need in order to meet your facility requirements and personnel quality your customers need. 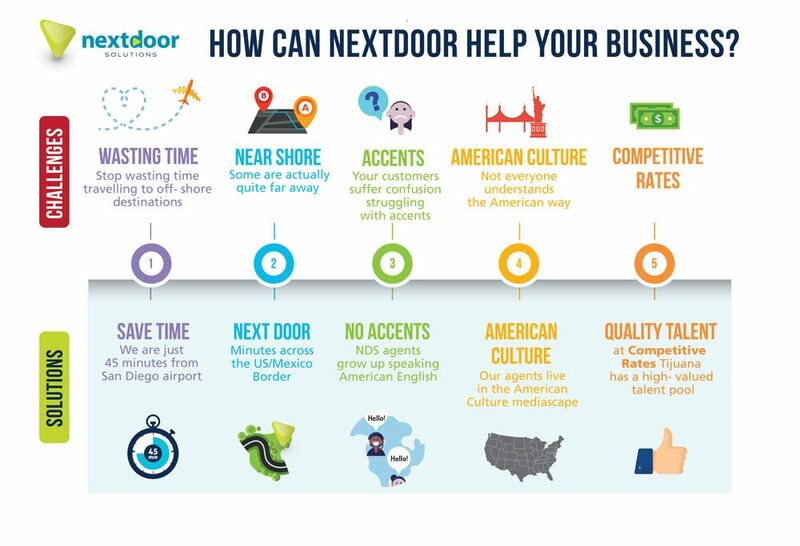 We know the local market and you know your clients’ needs, we can make this work and transfer your company and your clients the great benefit of a Next Door operation, since we are more than a nearshore option, we are a Next Door Solution!! !